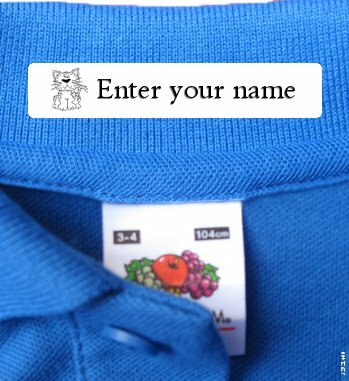 CottonTrends® - The fabric Label makers - Privacy Notice. Data protection is a matter of trust and your trust is important to us. We respect your personal space and your privacy. Therefore, protecting personal data and collecting, processing and using them in conformity with the law is an important concern to us. So that you feel safe while visiting our web site, we strictly adhere to legal provisions when we process your data and would like to inform you here about our data collection and use of data. Your personal data will only be stored, disclosed or otherwise transmitted if this is necessary for providing you with the information, products and services that you request or purchase from us and deliver your products or services, and to communicate with you regarding those products that you purchase from us and respond to your questions and comments. In order for us to provide our products to you, we share your personal data with trusted third party manufacturers and service providers. Whenever we share your personal data, we put safeguards in place which require these organisations to keep your data safe and to ensure that they do not use your personal data for their own marketing purposes. This website uses functions of the web analytics service Google Analytics. Provider is Google Inc. 1600 Amphitheatre Parkway Mountain View, CA 94043. Google Analytics uses "Cookies", text files that are stored on your computer and enable analysis of your use of the website. The information generated by the cookie about your use of this website are usually transferred to a Google server in the USA and stored there. In case of activation of the IP anonymization on this website, your IP address from Google will be truncated within Member States of the European Union or other parties to the Agreement on the European Economic Area. Only in exceptional cases, the full IP address will be transferred to a Google server in the USA and shortened there. On behalf of the operator of this website, Google will use this information to evaluate your use of the website, compiling reports on website activity and providing other with website and internet related services to the website operator. Your IP address as part of Google Analytics will not be merged with other data from Google. Your data is transmitted safely by using encryption. This applies to your order and also to the customer login. We use the coding system SSL (Secure Socket Layer) and TLS (Transport Layer Security). Furthermore, we secure our websites and other systems by technical and organizational measures against access of your data by unauthorized persons.